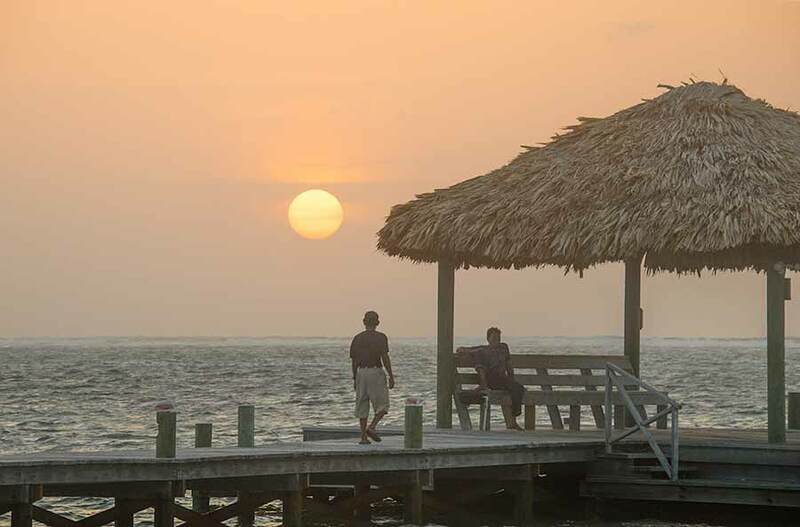 Belize NMS: Seasonably hot, hazy and dry conditions will continue the next couple days. 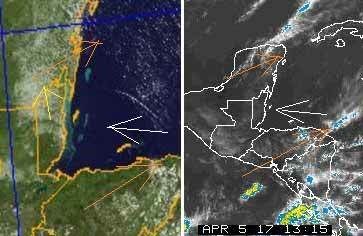 Cold front will stall over Yucatan and support a break in seasonably warm conditions. 24-hour forecast: Mostly sunny, with hot and hazy conditions today and partly cloudy tonight. Little or no rainfall is expected. Today: Winds: E-SE 10-20 kt. With occnl higher gusts; seas: Moderate - locally rough; waves: 4-7 ft.; little or no rainfall. Tomorrow: Winds: East 10-20 kt. ; seas: Moderate; waves: 4-6 ft.; chance of isolated showers north. Marine Outlook: Thursday night: Winds: E-NE 5-15 kt. ; seas: Choppy. ; waves: 3-5 ft.; isolated showers. General Outlook: For Thursday and Thursday night is for partly cloudy skies with the chance of isolated showers inland or in the north. On Ambergris Caye this morning the wind is coming from the SE at 15 mph and it seems like our March blow is in April this year. The sea is rough and cancellations for water sports are in order. It's sunny and the expected high is 89 f.
The weather is calming down. There is still the high level SW winds, but the cloud is thinner. The easterly Caribbean winds does not have much cloud in it. The fog or low level cloud is not moving but sort of developing northwards, shown by the yellow arrow. The ITCZ type swell-ups have now gone. The easterly Caribbean wind might keep the temperature down a little today. Looks like today will be another hot day with only small areas of cloud, no rain expected. The present clouds and haze are coming up from the south, as shown by my yellow arrow at present. 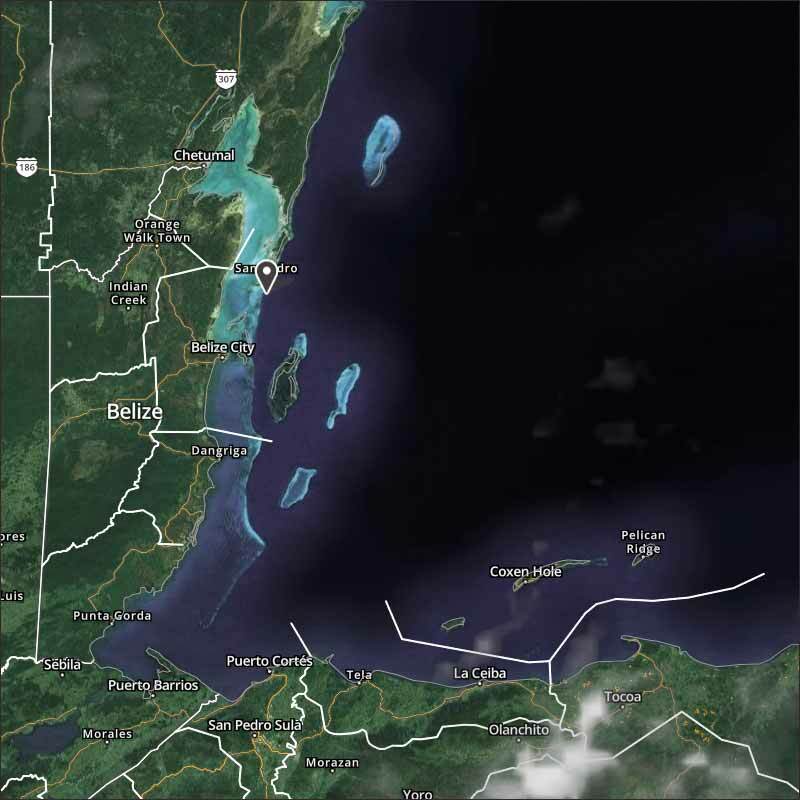 But the surface wind we feel is the easterly Caribbean wind over Belize. No hint of rain, just hot humid air, with hazy sunshine between the clouds.